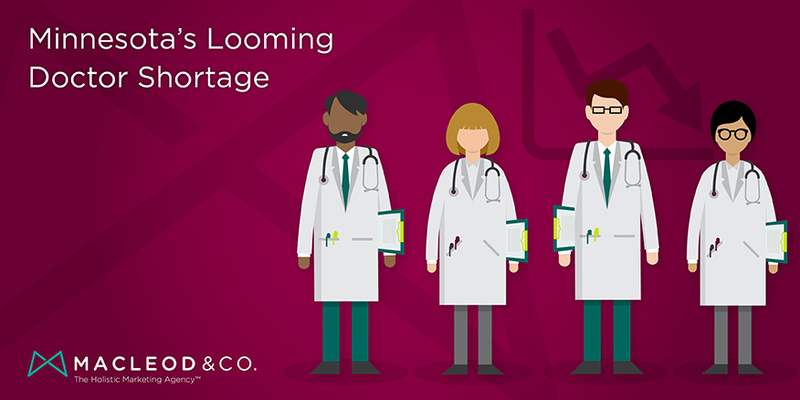 Minnesota’s Looming Doctor Shortage | Macleod & Co. In Minnesota, we pride ourselves on a lot of things we do well. We are home to almost 20 different Fortune 500 companies. Art and culture abounds. We have a thriving craft beer scene. We’re home to award-winning chefs and restaurants, good schools, and a reputation for being on the cutting edge of health care. In fact, within the midwest, Minnesota takes the lead in medical start-ups. But there are real concerns for the state around a looming doctor shortage. How bad is it? Minnesota is facing an 850 doctor shortage by the year 2024. Combine that with a rapidly aging population, and it’s clear action needs to be taken pretty quickly. Health Force Minnesota is trying something pretty novel. They’ve created a summer camp for teens interested in pursuing a career in health care. Started in 2008 at Winona State, the program has spread to three locations. The Minnesota Hospital Association has its plan to lobby for legislation that they believe will help. But what can hospitals and universities do about the doctor shortage now? Curious about all of this, we asked our friends at Douglas County Hospital / Alexandria Clinic what they were doing to increase recruitment. We have partnered with them to promote the hiring of 5 new practitioners this summer alone. Clearly, they’re on top of this. Carl Vaagenes, CEO of Douglas County Hospital, shared with us and the Echo Press what their approach and strategy is to ensure proper coverage for Alexandria residents. They focus on recruiting the spouse or significant other. They demonstrate to candidates how they will already have a successful practice. They don’t stop there — retention is every bit as important as recruiting. They identify projected needs based on estimated retirement dates for existing physicians. They hire nurse practitioners and physician assistants to bolster the reach of current primary care physicians. At Macleod & Co., it’s our job to help tell the story of Alexandria, MN. There’s a work-life balance one can find in the lakes country that holds a strong appeal. It wasn’t named one of the country’s best small towns in 2013 for nothing. Health care institutions have to connect with the community, tell stories that humanize their work and attract and retain patients. But they also need to find compelling stories and ways of reaching prospective physicians. Lucky for us, having smart, proactive clients makes it easier.